According to the HCMC chapter of the Vietnamese Red Cross Society, more than one million units of blood were collected from over 180,000 donators in 2018. Most voluntary blood donors are university students, accounting for 68 percent of the total number of volunteers. They have also participated in activities on first aid and disaster prevention in schools, businesses and districts in the city. They have made outstanding contribution in saving patients’ life and emergency cases. 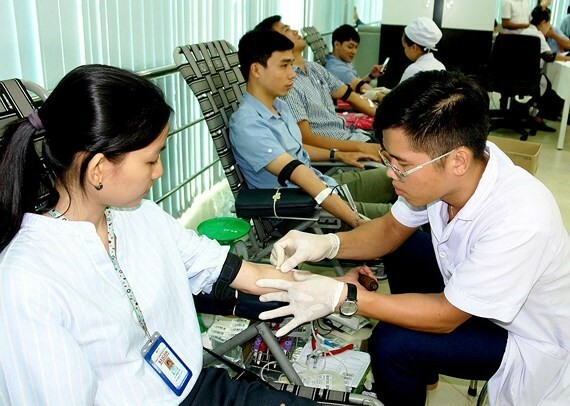 The Ho Chi Minh City Red Cross Society has launched a blood-donation campaign to reduce blood shortages and meet the increasing blood demand for emergency aid and treatment during Tet holidays.